The Central Oregon Fire Chiefs Association (COFCA) announces that burn season will open at sunrise on November 1st, 2018 for many of the local fire districts regionally in Central Oregon. With the recent fall weather and precipitation received in areas, the Fire Chiefs local fire departments, the US Forest Service, the BLM, and Oregon Department of Forestry have agreed that many areas are now safe to enter into burn season. Download (www.sistersfire.com) or pick up a copy of the Sisters-Camp Sherman Fire District Outdoor Burning Regulations at any one of our Stations located in Sisters, Squaw Creek Canyon or Camp Sherman and have on site where burning is to be performed. 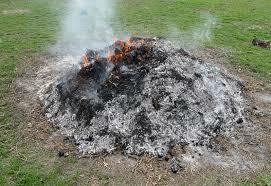 Call the Outdoor Burning Line 541-549-2333 each day that you plan to burn. Follow all regulations in the Outdoor Burning Regulations brochure. Please note that some municipalities such as the City of Sisters do not allow yard debris burning at any time during the year within their jurisdictions and certain homeowner’s associations may have further restrictions in place. Staff will continue to monitor weather and fuel moisture conditions in the Sisters-Camp Sherman Fire District and may make modifications on a day-to-day basis. Please call your local outdoor burning information line for your current conditions. If conditions become drier, individual agencies may choose to close local burning. For residents who are uncomfortable burning or are not in areas where outdoor burning is allowed, the fall FireFree events will be available to residents. Watch www.firefree.org for the dates of these events in October and November. Central Oregon Fire Chiefs federal partners (US Forest Service & Bureau of Land Management) will be performing prescribed burns throughout the region. These prescribed burns will be conducted under carefully planned conditions such as: with federal fire resources, professional fire managers and firefighters on scene, favorable weather conditions and carefully planned land plots. These prescribed burns improve forest health and reduce the forest fuels in order to lower the wildfire risk to our communities that is ever present later in the season when the conditions are even more extreme. CENTRAL OREGON – With hot and dry conditions expected to continue, an increasing number of wildfires around the northwest, and fire suppression resources already responding to a number of wildfires around Oregon, the Prineville District Bureau of Land Management, the Deschutes National Forest and the Ochoco National Forest and Crooked River National Grassland are increasing campfire restrictions this Thursday, August 9, 2018. IFPL III is considered a “partial shutdown” and restricts the use of chainsaws to loading sites on tractor/skidder operations to between the hours of 8 p.m. to 1 p.m. Only cable yarding systems that use non-motorized systems are allowed. Industrial welding and mechanized loading operations are also restricted to the hours of 8 p.m. to 1 p.m. Industrial and permitted operations may request a waiver from the Forest Service or BLM depending on land ownership at the activity location. 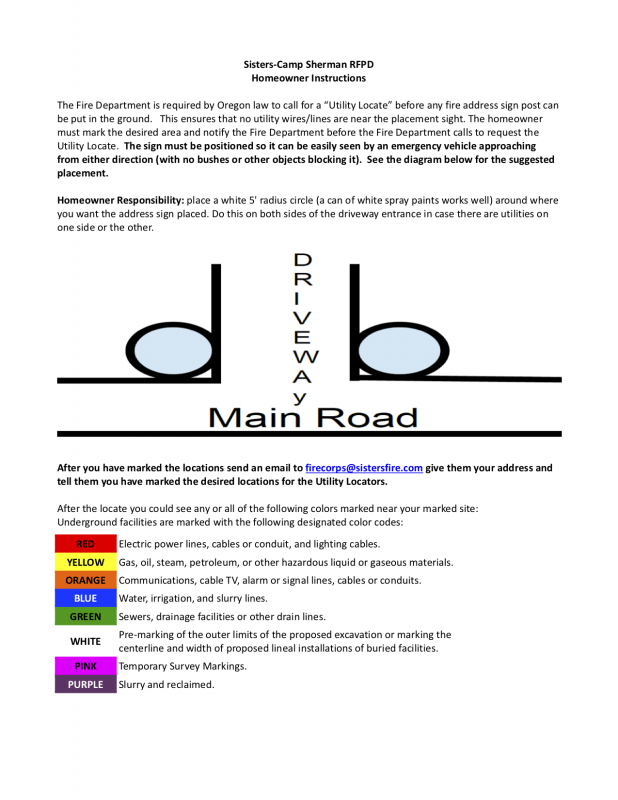 It is the responsibility of all operators to know and follow the requirements of the current fire precaution level. Public use restrictions help protect the land, resources, and visitors. Officials carefully consider the current fire situation, fuel moisture and predicted weather before making the decision to implement fire restrictions. Every year lightning-caused fires place a heavy demand on our firefighting resources, and put our wildlands, our firefighters, and our communities at risk. 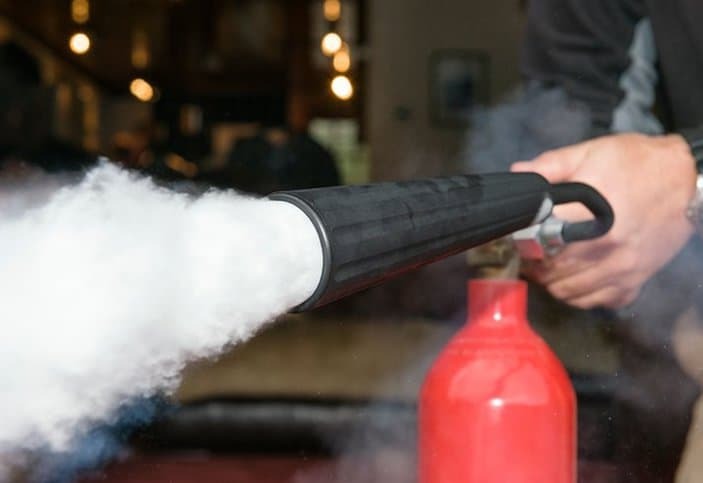 Fires caused through carelessness or negligence only increase the threat to life and livelihood, and place an even greater burden on already busy firefighters. Every fire that’s prevented protects our communities and helps our firefighters remain available, rested, and safe. Early this summer, Deputies with the Deschutes County Sheriff’s Office assigned to the City of Sisters, have been investigating an increase of criminal mischief, trespassing and other criminal activity at the Sisters’ East Portal Interpretive Site. This is located at the intersections of Highways 20 W and 242, just west of downtown sisters. The site, owed by the US Forest Service, includes a parking lot for passenger cars, recreational vehicles, an interpretive kiosk display, and a rest room facility. In June, Deputies and USFS Law Enforcement Officers began enhanced patrol of the area during the late night hours and contacted teens, transients and hitchhiking campers. While law enforcement presence has reduced the calls for service, the site was littered with human waste, soiled clothing, discarded luggage, broken camping equipment, alcohol containers and drug paraphernalia. Most recently, a city cleaning crew interrupted a transient attempting to light a warming fire inside the bathroom. Overall, the East Portal Interpretive Site became uninviting and citizens reported felling unsafe approaching the site or using the facilities. Additionally, it was not representative of our Sisters community. 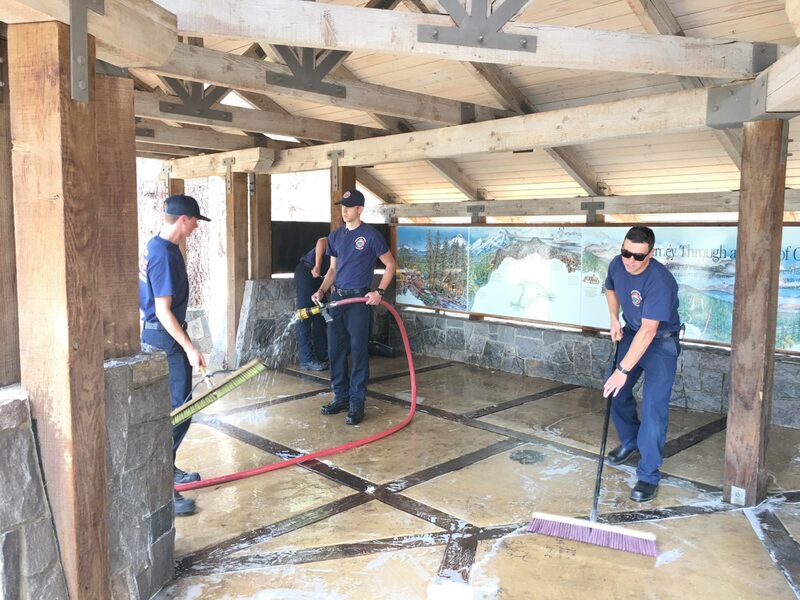 Yesterday, Deschutes County Sheriff’s Office Deputies and Sister-Camp Sherman Fire District Firefighters came together and collected a considerable about of trash from the site before washing out the kiosk shelter with soap, brushes and a fire hose. The site is open to the public and we encourage the public to report any future suspicious activities.The Sheriff’s Office is working with the USFS Sisters Ranger District to improve the security with improved lighting and increased patrols. The Deschutes County Sheriff’s Office is always seeking out ways to make our communities safer and our quality of life for our citizens better. Please contact one of our Deputies, or call our office at 541-388-6655 or on social media with any tips about how we can help prevent and reduce crime in your community. Time of Alarm: 6:42 p.m.
A grill fire inside Rays Food Place in Sisters last night was rapidly extinguished before spreading thanks to quick action by employees on scene, and a rapid response by Sisters-Camp Sherman Fire District. All customers had evacuated the store and employees inside the store used fire extinguishers to stop the fire from spreading while firefighters responded. First arriving units found an indoor gas grill covered with baking sheets with significant heat, but no visible flames. Firefighters used a thermal imaging camera to confirm no heat in the ceiling tiles surrounding the hood of the grill, and damage was confined to the grill itself. Sisters-Camp Sherman Fire District responded with three emergency vehicles and six personnel. Additional units from Sisters-Camp Sherman, Black Butte Ranch and Cloverdale Fire Districts also responded to the fire but were canceled prior to arrival. For more information please contact the Sisters-Camp Sherman Fire District at 541-549-0771. CENTRAL OREGON – With hot and dry conditions expected to continue, an increasing number of wildfires around the northwest, and fire suppression resources already responding to a number of wildfires around Oregon, the Prineville District Bureau of Land Management, the Deschutes National Forest and the Ochoco National Forest, including the Crooked River National Grassland, are implementing campfire restrictions and Industrial Fire Precaution Level III beginning tomorrow. Crescent Ranger District: Contorta Flat, Contorta Point, Crescent Lake, Simax Group, Spring, Sunset Cove, Trapper Creek, Whitefish Horse Camp, Windy Group Site, Industrial Mushroom Camp (Little Odell Butte), Odell Lake Resort and Campground, Princess, Shelter Cove Resort and Campground. Bend-Ft. Rock Ranger District: Crane Prairie, Cultus Lake, Elk Lake, Fall River, Fall River Guard Station, Gull Point, Lava Lake, Little Cultus Lake, Little Fawn, Little Fawn Group, Little Lava Lake, Mallard Marsh, North Twin, Point, Quinn Meadow Horse Camp, Quinn River, Rock Creek, Sheep Bridge, South, South Twin, West South Twin, Big River Group, Bull Bend, Wyeth, Cinder Hill, East Lake, Little Crater, Newberry Group, Ogden Group, Paulina Lake, Prairie. These restrictions do not apply to Wilderness areas on the Deschutes and Ochoco National Forests and Prineville BLM. Additionally, the Prineville BLM, Deschutes and Ochoco National Forests and Crooked River National Grassland will move to an Industrial Fire Precaution Level III (IFPL). The IFPL applies to permitted and industrial operations, including woodcutting, on federal lands. Commercial and personal use woodcutting is prohibited at this and all higher levels. Living in Central Oregon, there are so many great reasons to ride your bicycle. Community partners want all bicyclists to enjoy the fun, freedom and exercise that bicycling offers. 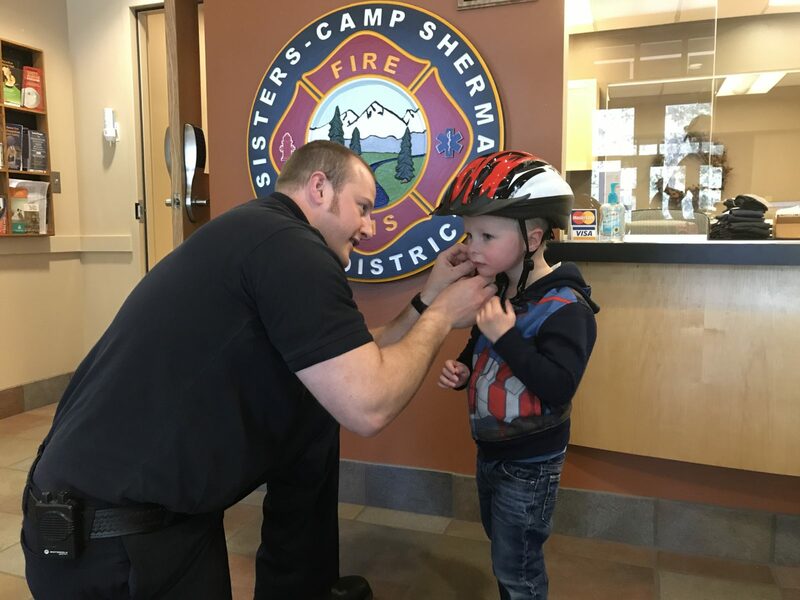 In order to help our community members bike safely, the Sisters-Camp Sherman Fire District is planning a bicycle safety event. The bike event will include bicycle safety inspections by a certified technician and a skill station where participants can ride a cone course. Participants 16 years or younger, of low-income families, may be able to receive a free helmet while supplies last. As a reminder, Oregon law requires bicycle riders 16 years and younger to wear a helmet. The event will be on Saturday, July 21 from 10 a.m. to 1 p.m. at the Sisters Park and Recreation District parking lot at 1750 W. McKinney Butte Road in Sisters. The free event will also include face painting, a dunk tank where participants can dunk a firefighter, and popsicles! Co-sponsors of the event include: Black Butte Ranch Police Department, Sisters Park and Recreation District, Blazin Saddles, Sisters Family Access Network, Deschutes County Sheriff’s Office, Oregon Department of Transportation and Kiwanis Club of Sisters. For more information please contact the Sisters-Camp Sherman Fire Department at 541-549-0771. The Central Oregon Fire Chiefs Association (COFCA) announces the date of closing for residential and private lands open debris burning across the tri-county region in Deschutes, Crook and Jefferson Counties. Burning debris piles on private lands in much of central Oregon will not be allowed starting on June 1 this year as the area heads into the summer wildland fire season. “In order to best serve our residents throughout central Oregon with fire and EMS protection, Central Oregon Fire Chief’s each year, jointly select a common closing date to avoid escaped residential debris burns on private lands”, said Matt Smith, Fire Chief, Crook County Fire & Rescue, and Chair of Central Oregon Fire Chiefs Association. 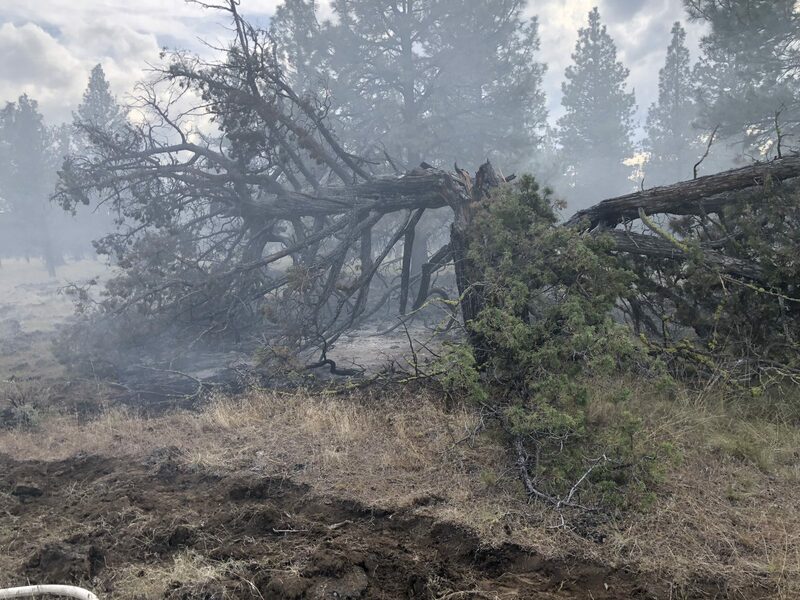 “Many areas in Central Oregon are drying out quickly and local, state and federal wildfire suppression resources can be quickly needed as the conditions continue to dry out,” Chief Smith said. “Even though specific areas in Central Oregon still may receive a bit of rain or even a spring snow shower before or after the closure, the region as a whole is quickly approaching fire season conditions that create unsafe conditions for residential outdoor debris burning,” adds Chief Smith. The Central Oregon Fire Chief’s Association strongly urges homeowners to prepare their property for the upcoming fire season now before there is smoke on the horizon. Homeowners and residents who have yet to Firewise their properties for the upcoming fire season will have three options for forest debris removal until fall and burn season opens again: chip the debris; haul to a local transfer site; or pile and cover until fall. Central Oregon Fire Chief’s federal partners (US Forest Service & Bureau of Land Management) could possibly be executing prescribed burns throughout the region in preparation of fire season even after burn season closes on private lands. 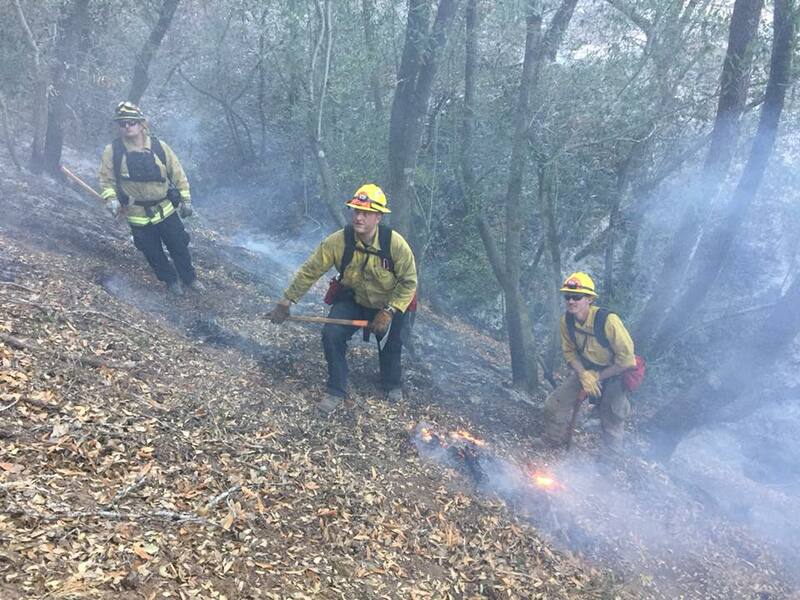 These prescribed burns will be conducted under carefully planned conditions such as: with federal fire resources, professional fire managers and firefighters on scene, favorable weather conditions and carefully planned land plots. These prescribed burns improve forest health and reduce the forest fuels in order to lower the wildfire risk to our communities that is ever present later in the season when the conditions are even more extreme. Creating fire resilient landscapes with prescribed burns is a critical component to implementing the National Wildland Fire Cohesive Strategy. Residents are strongly encouraged to contact their local fire protection agencies for additional burning information and regulations. All Central Oregon fire departments and rural fire districts will continue to monitor weather and fuel moisture conditions in their district and may make modifications on a day-to-day basis. Please call your local outdoor burning information line for your current conditions. If conditions become dryer, individual agencies may choose to close local burning sooner. Fire agencies will monitor fuels and fire conditions throughout the summer and anticipate the opening of burn season again in late fall. The Sisters-Camp Sherman Fire District launched a new program last week aimed at helping seniors and emergency care providers in Sisters Country when emergencies happen. The goal of the File of Life Program is to have important medical information in one location in the event of an emergency. The information provided in the “file” will help responders provide better care by having your past medical history and any medications you take in a convenient, common location in every household. Both Cloverdale and Black Butte Ranch Fire Districts are also partners in the new program. 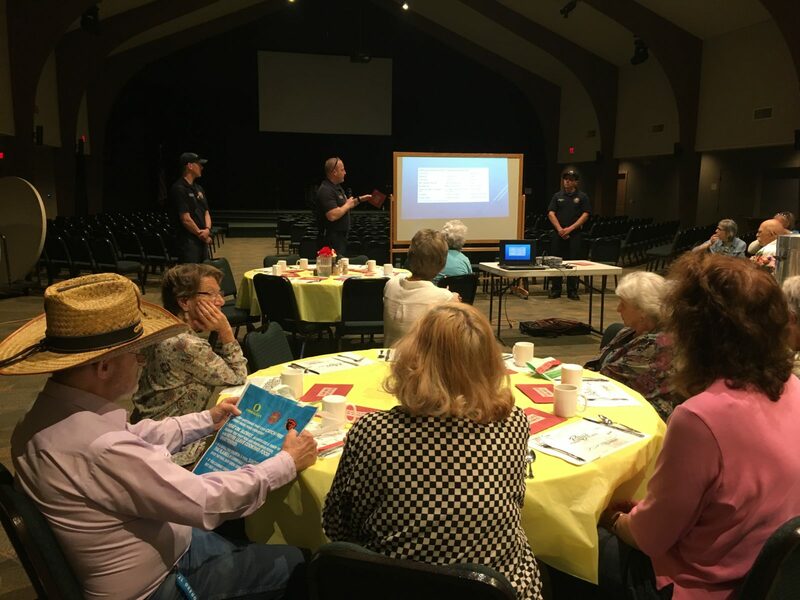 On Tuesday, May 8 staff from the Sisters-Camp Sherman Fire District presented the program to area seniors at the weekly senior luncheon at the Sisters Community Church. Attendees received their File of Life Program packet. Residents are encouraged to fill it out and place it on (with a magnet provided). or on top of their refrigerator, or in an easy access location for emergency responders. The program is part of the Fire District’s Strategic Plan goal to provide an all-risk senior citizen safety program within the District. 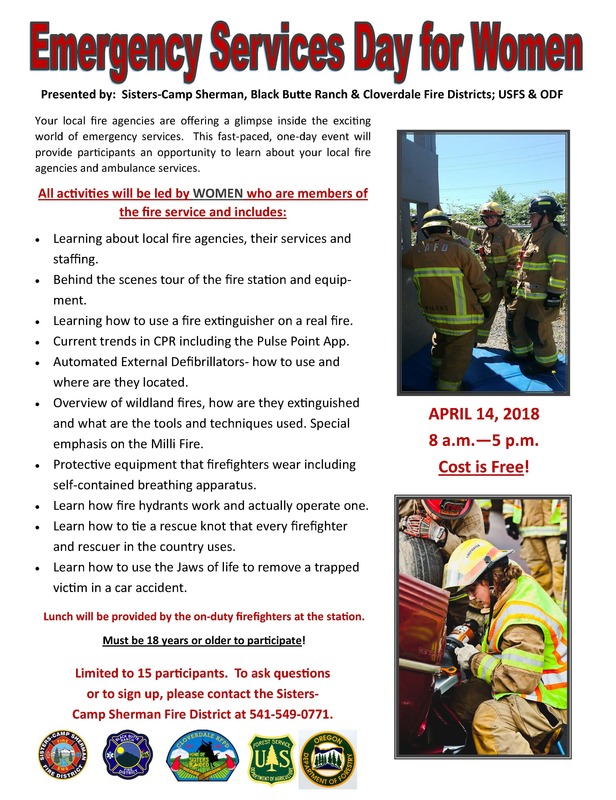 For more information or to receive a File of Life Program packet, please contact the Sisters-Camp Sherman Fire District at 541-549-0771. Time of Alarm: 6:18 p.m.
A chimney fire that spread to a shake roof was swiftly extinguished thanks to a neighbor’s quick call to 911, and an immediate response by Sisters-Camp Sherman Fire District. Renters and pets evacuated the home and began to apply water to the fire that had spread to the shake roof, while firefighters responded. First arriving units found a fire involving the roofing material near an operating chimney. The fire, approximately 20×30 feet in area was quickly extinguished with no damage to the living area of the home. Damage is estimated to be approximately $5,000. Fire crews removed burnt shingles and applied plastic to the damaged roof to help protect the structure from weather until new roofing materials can be applied. The cause of the fire is still under investigation, but is believed to be related to the wood stove, which was in use at the time of the fire. The home did have working smoke alarms, but did not alert the renters likely due to the fire being on the exterior of the home. As a reminder, chimneys and vents need to be cleaned and inspected by a qualified professional at least once a year. Sisters-Camp Sherman Fire District responded with four emergency vehicles and ten personnel. Additional units from Black Butte Ranch and Cloverdale Fire Districts also responded to the fire but were canceled prior to arrival. Is your home ready for wildfire season? Save the dates for upcoming FireFree Recycling Events! 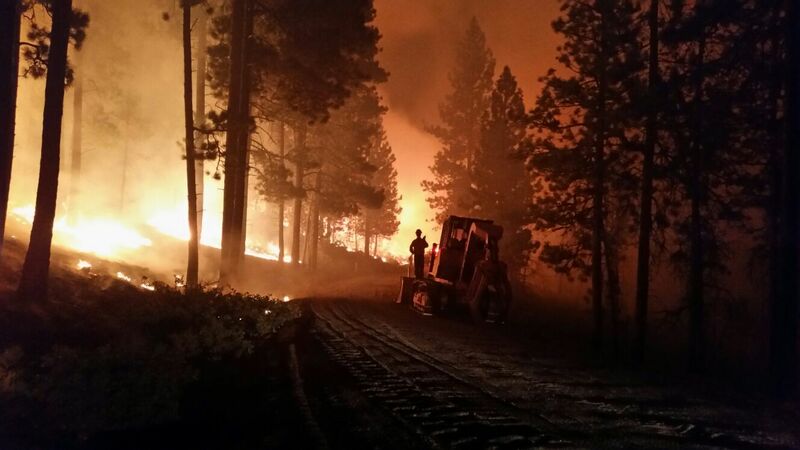 Last year’s fire season is fresh in many Central Oregon resident’s minds. Fire season is just around the corner and now is the time for Central Oregonians to prepare their home for fire season. It may not feel like it outside but fire season is on its way. There are some simple steps you can take to prepare your home and community for the upcoming fire season. This spring, partners in the Central Oregon area will host FireFree days. Crook, Deschutes, Klamath, and Jefferson Counties will all be hosting FireFree events for local residents to easily prepare for wildfire season. Check the dates below for a FireFree event near you! Fire science tells us that if you have created and maintained a defensible/survivable space around your home, it has an 80% chance of surviving a wildfire without fire department assistance. Those are great odds and FireFree urges residents to take that bet and get prepared for the upcoming wildfire season. Now is the time to clean up your yards and create defensible spaces around homes and recycle that debris at FireFree collection sites FOR FREE in Crook, Deschutes, Klamath, and Jefferson Counties. Please note currently the Westside Site is pending confirmation from its new landowner, FireFree will announce the confirmed dates as soon as possible. This will be the last year the current Westside Collection Site on Simpson Ave in Bend will be available to residents. Take advantage of the Westside Site during the 2018 FireFree event to make the tenth and final year the best one yet! Saturday & Sunday, April 28 & 29 and May 5 & 6 at Box Canyon Transfer Site in Madras. 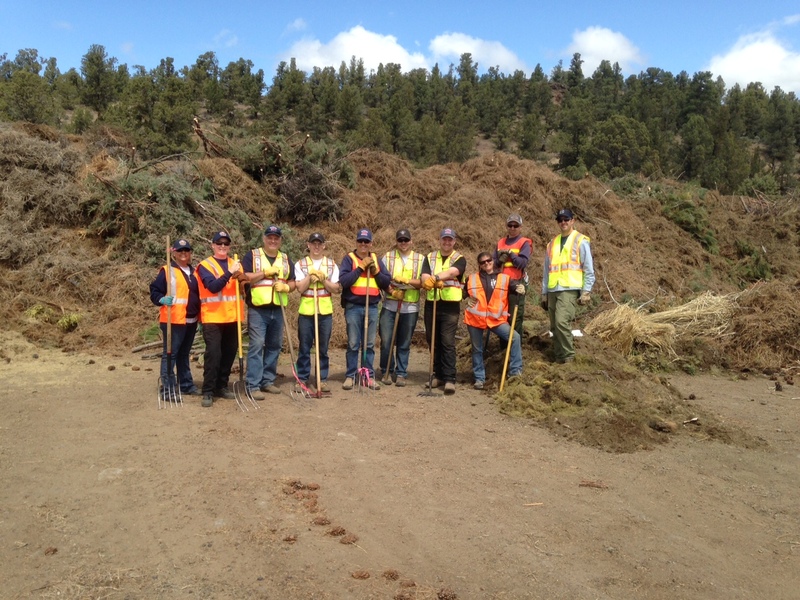 Saturday, April 28 at Crook County Landfill in Prineville. Saturday, May 5 THROUGH Sunday, May 13 at Knott Landfill in Bend. Early May 2018 at the Westside Collection Site in Bend. Friday & Saturday, June 1 & 2 at Crescent Transfer Station and Chemult Landfill. FireFree reminds you to take a look around your property in the “home ignition zone” where glowing embers can ignite spot fires and vulnerable areas like decks, patios and fences that can spread flames to your home. And take advantage of upcoming FireFree Recycling Events to dispose of the debris for FREE. Where are your most vulnerable places for glowing embers to ignite your home? Are your gutters and roof valleys free from debris like pine needles and leaves? Clean them out. Despite a metal or asphalt shingle roof, the buildup of gutter debris provides necessary fuel for the glowing embers to ignite adjacent fascia boards or siding – most often made of wood. Do your shrubs and weeds provide a path of fuel for fire to reach your trees or home? Reduce shrubs and other “ladder fuels” around your home to reduce the threat of ground fires igniting nearby trees, or your home. What can catch fire on your deck or patio or near your fence? Remove weeds, shrubs or any combustible materials from around, under or on top of your deck, patio or wood fence. This includes toys, planters, construction materials, patio furniture and cushions along with even small piles of pine needles or leaves. Do you have bark mulch, pine needles, ornamental junipers or flammable vegetation within 5 feet of your home? This can provide the perfect ember bed that will provides necessary fuel for the glowing embers to ignite the adjacent siding – most often made of wood. Is your woodpile near your home or other combustible vegetation? Move woodpiles at least 30 feet away from your home or other combustibles. 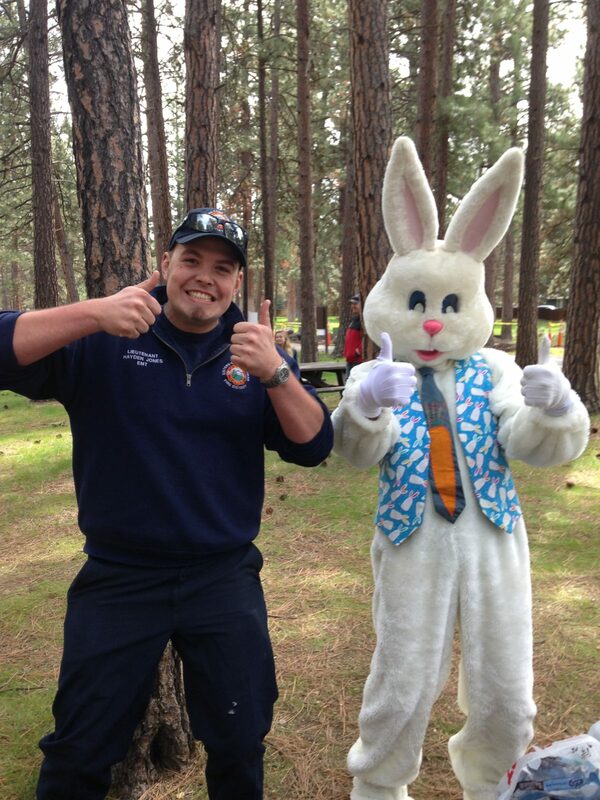 Children from infant to eleven years of age are invited to participate in the annual Easter Egg Hunt co-sponsored by the Sisters-Camp Sherman and Cloverdale Fire Departments. The event will take place on Easter Sunday, April 1 at 1 p.m. at the adjoining Creekside and Three Sisters Overnight Parks, regardless of weather. The Easter Bunny will be present to greet all. Parking is limited, so plan to arrive early. Children wishing to participate are asked to be at the parks at 12:40 p.m. so they can be divided into the appropriate age groups. Children are divided into the following groups: Infant to 2 years old will be in the red area, 3-5 years old will be in the yellow area, 6-8 years old will be in the blue area and 9-11 years old will be in the white area. Please be prompt, the eggs disappear fast! Prizes for Golden Eggs! Any questions should be directed to the Sisters-Camp Sherman Fire Department at (541) 549-0771. Creekside Park – 657 East Jefferson Avenue, Sisters, Oregon. The recent Milli Fire last summer burned over 24,000 acres and impacted residents and businesses in Sisters Country. While it may not feel like it outside, fire season is on its way again! Nationally recognized ecologist Paul Hessberg will give a presentation on wildfire, its natural role in our local forests and how that role has changed. Local agency partners including the Sisters-Camp Sherman Fire District, USFS Sisters Ranger District, Oregon Department of Forestry, City of Sisters, Sisters Science Club, and Brooks Resources are sponsoring the free presentation, which will be held on Thursday, March 22 from 6:30-8:30 p.m. at the Belfry in Sisters. Last year was a record fire year with 9.1 million acres burning in the United States. More than 680,000 acres burned in Oregon alone, in at least 33 separate fires, one of which was a megafire that burned over 190,000 acres. Dr. Hessberg will present to the audience an engaging, multimedia presentation about wildfire, its natural role in our local forests and how that role has changed. Dr. Hessberg will present the multiple options available to our community to reshape the wildfire problem and how we can better learn to live with fire. Paul Hessberg, Ph.D., is a Research Ecologist with the Pacific Northwest Research Station, US Forest Service. He has been studying historical and modern era forests of the Inland West for the last 32 years, publishing extensively in leading national and international journals. His work documents large changes in forest conditions and how these changes, along with climate change, have set the stage for large and severe wildfires. This presentation is an outgrowth of his research and his concerns for the future. No tickets are needed for the event, which is expected to be attended at full capacity. It is recommended that you arrive early to get a seat. 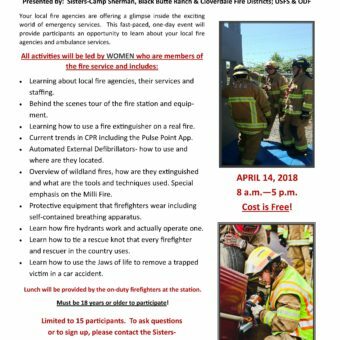 Doors open at 6 p.m.
Sisters Country residents, who may be interested in wildland or structural firefighting volunteer opportunities, are invited to an orientation of the Sisters-Camp Sherman Fire District’s upcoming recruit academy slated to begin on April 16. The orientation and tour of District facilities will be offered in two separate sessions. You only need to attend one session. Orientation will be held at the Sisters-Camp Sherman Fire District Community Hall on Saturday, March 10 from 1 – 3 p.m. or Wednesday, March 14 from 6 – 8 p.m.
Volunteer Coordinator for the District, Captain Jeff Liming will give a short presentation on what is expected of a District volunteer, review training guidelines/expectations for the recruit academy, provide a tour of the main fire station, and answer any questions regarding the academy and volunteer program. To be eligible to volunteer with the Fire District, an applicant must be at least 18 years old. There is no need to apply for the volunteer program prior to attending the orientation. Simply show up and learn about the volunteer opportunities. Applications will be on hand for those interested. Era of Megafires is coming to Deschutes County in a 3-part series in March. Save the date for the event closest to you. Bend, OR: It may not feel like it outside, but fire season is on its way. This March, local partners are coming together to offer three Era of Megafire presentations for Central Oregonians. 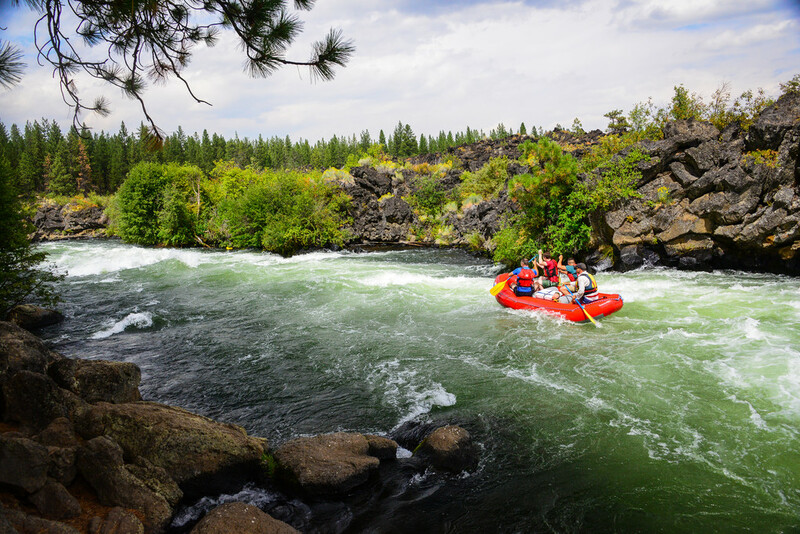 The Deschutes Land Trust, Sunriver Owners Association, and Sisters-Camp Sherman Fire District are sponsoring events in Bend, Sunriver, and Sisters. Deschutes Land Trust is hosting Dr. Paul Hessburg as part of their winter Nature Nights series and the Sister’s event, hosted at the Belfry is sponsored in part by the Sisters Science Club. Last year was a record fire year with 9.1 million acres burning in the US. More than 680,000 acres burned in Oregon alone, in at least 33 different fires, one of which was a Megafire that burned over 190,000 acres. 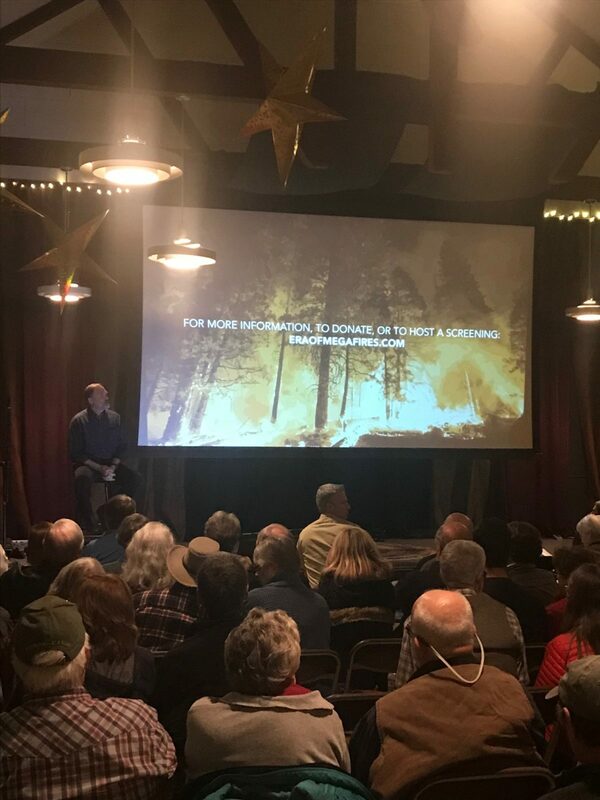 Dr. Hessburg will present to the audience an engaging, multimedia presentation about wildfire, its natural role in our local forests, and how that role has changed. Dr. Hessburg will present the multiple options available to our community to reshape the wildfire problem and how we can all better learn to live with fire. Bend with Deschutes Land Trust’s Nature Night: Tuesday, March 20th, 2018 from 7:00-8:30 pm at the Tower Theater. Tickets go on sale February 20th here (https://www.deschuteslandtrust.org/hikes-events). Sisters with Sisters Science Club: Thursday, March 22nd, 2018, 6:30-8:30 pm at The Belfry. Tickets will be available at the door, donations will be accepted but not required (pre-registration is not required). Paul Hessburg, Ph.D., is a Research Ecologist with the Pacific Northwest Research Station, US Forest Service. He has been studying historical and modern era forests of the Inland West for the last 32 years, publishing extensively in leading national and international journals. His work documents large changes in forest conditions and how these changes, along with climate change, have set the stage for large & severe wildfires. This presentation is an outgrowth of his research and his concerns for the future. The Deschutes Land Trust is Central Oregon’s locally-based, nationally-accredited land trust. Since 1995, the Deschutes Land Trust has protected more than 8,900 acres for wildlife, scenic views, and local communities. For more information on the Deschutes Land Trust, contact us at (541) 330-0017 or visit www.deschuteslandtrust.org. SISTERS– Over the next couple months, the Deschutes National Forest’s Sisters Ranger District will be doing thinning operations near the Crossroads subdivision to create a more fire resilient ecosystem adjacent to the neighborhood. Fires like the Milli Fire last summer, as well as the Black Crater Fire in 2006, were close calls for Crossroads homeowners. The thinning of the area will create a more fire resilient and healthier forest. Due to a variety of factors the number of trees per acre across the Deschutes National Forest is well above historical levels. This heavy fuel load has caused fires over the last two decades to generally burn at a higher intensity and at a larger scale, encompassing tens of thousands of acres at a time, unlike the smaller, less intense fires that occurred historically in Central Oregon’s fire-adapted ecosystems. This thinning work is a part of the broader Sisters Area Fuel Reduction (SAFR) project and will leave the largest and healthiest fire resilient trees as a priority, incorporating a natural looking forest with a mosaic pattern of clumps and groups of trees as well as single trees and occasional small openings. This mosaic pattern mimics how a historical and regular fire regime would otherwise naturally shape the forest. Work previously done through SAFR has reduced the spread of fire during both the Pole Creek, 2012, and Milli Fires. Thinning operations, which use heavy equipment, currently are underway a mile to the south of the Crossroads subdivision along Forest Service Road 15. At this time operations are done Monday-Friday from 5:30 a.m. to 3:30 p.m.; however, as operations get close to the subdivision, activities will begin at 7 a.m. to reduce noise early in the morning. All operations will take place north and west of Forest Service Road 15 and south of Highway 242. Some thinning units are adjacent to Crossroads private property while others are not far away. March 1, 2018, depending on weather and soil conditions. 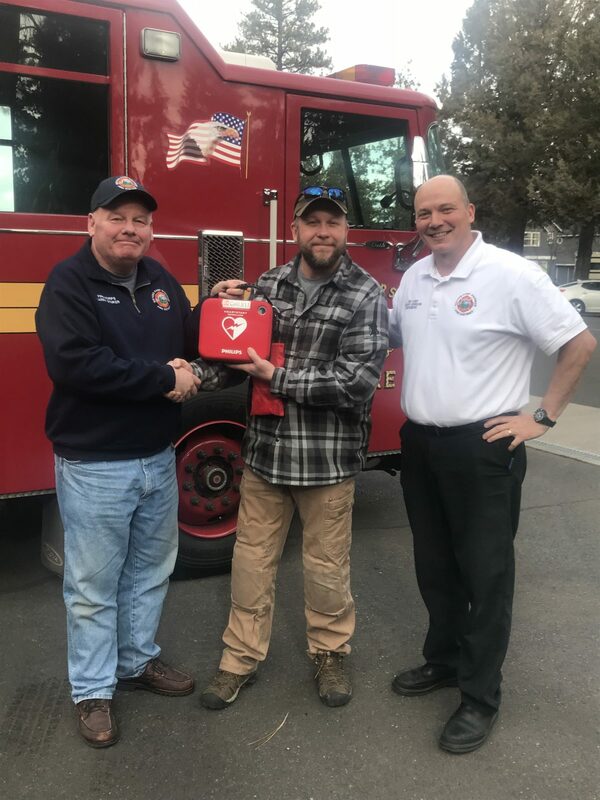 Warfighter Outfitters Inc. is the latest recipient of an Automatic External Defibrillator (AED) through the Sisters-Camp Sherman Fire District’s AED grant program. The goal of the grant program is to maximize the survivability rate from incidents of Sudden Cardiac Arrest (SCA). One of the best ways to do that is to have as many AED’s as possible deployed throughout our fire district. Warfighter Outfitters Inc. is a non-profit guide and outfitter providing service to the nation’s veterans on hunting, fishing and engagement trips. The excursions include anywhere from 2 to over 30 veterans on a trip. The organization is 100% volunteer based and the trips are funded entirely by donations. 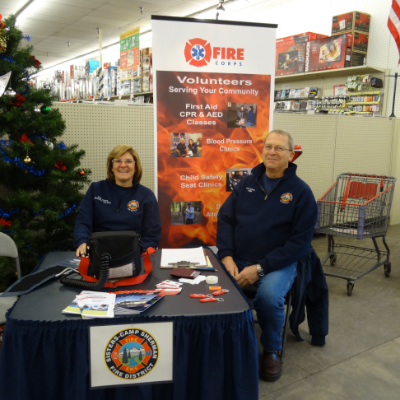 The Fire District grant program covers up to $250 towards the purchase of an AED. Because Warfighter Outfitters operates on donations only, they needed the full amount of the AED cost covered. The proposal came before the Sisters-Camp Sherman Fire and Ambulance Association Board at their January meeting, and they approved the expenditure of Association funds to cover the remaining portion. For more information about the District’s AED grant program, please call 541-549-0771. With the recent mild, almost spring-like winter temperatures, many locals and visitors alike are taking to the water, rather than the ski slopes, to recreate in Central Oregon. Being unguarded in the water, especially when water temperatures are low is extremely dangerous. According to the National Center for Cold Water Safety, immersion in cold water is immediately life threatening for anyone not wearing thermal protection such as a wet suit or dry suit. If you’re not using thermal protection, cold water making contact with the skin creates cold shock, and causes an immediate loss of breathing control. This becomes a threat to life even if the water is calm and you know how to swim. Cold water immersion can also cause the heart rate and blood pressure to spike, which increases the risk of heart attack and stroke for some. Some cold water deaths happen immediately and others can take hours. Shock can happen within five minutes while breathing problems can persist for longer. If you’re lucky enough to survive the shock phase, you may lose the ability to use your hands and arms within minutes. Hypothermia kicks in after about 30 minutes. Even those lucky enough to be rescued are at risk of heart failure or unconsciousness when being removed from the water due to drops in blood pressure. Always wear your personal flotation device. It doesn’t do you any good to just have it available – wear it at all times in the water. Always dress for the water temperature – no exceptions. No one plans to fall in the water, especially during the winter months where water is at its coolest. Dressing appropriately could save your life. Imagine the worst that can happen and plan for it. The Sisters-Camp Sherman Fire District formalized a program for auxiliary volunteers in January 2015 by creating a Fire Corps program. Fire Corps program volunteers are utilized to assist Fire Department and other related community service functions in non-emergency roles as needed for the Fire District. Fire Corps assignments include: Administrative functions (office work, data entry), Life Safety Education such as CPR and First Aid training, Blood Pressure Assessments, green emergency Address Sign Program, public and fire/EMS department assistance and Community Risk (smoke alarms and fire prevention/safety education). Fire Corps members may also receive training in other duties and programs as assigned by the Fire Chief. The Fire Corps initially started with just a few members and as of December 2017 has 24 members. The 24 members volunteered 2,532 hours in 2017 assisting the Fire Department with important community and fire/life safety events. Completed 416 blood pressure readings during monthly BiMart blood pressure clinics. These are held on the third Tuesday of each month from Noon to 4 p.m. Installed 40 green reflective emergency address signs throughout the District. The signs help crews quickly locate addresses within the Fire District. Taught 10 CPR/AED and First Aid classes educating 106 community members. Performed residential smoke alarm testing along with the American Red Cross covering 29 homes and installing over 91 smoke alarms. Checked a total of 50 child safety seats through three Sisters area clinics and other regional clinics. Began an AED grant program encouraging businesses in the Sisters area to purchase automated external defibrillators. Nine additional AED’s were added to the community due to this program. If you or someone you know might be interested in the Fire Corps program, please contact the Sisters-Camp Sherman Fire District at 541-549-0771. Sisters-Camp Sherman Fire District recognized the outstanding achievements of Resident Volunteer Rachelle Beiler by promoting her to the position of Resident Volunteer Lieutenant. The Resident Volunteer Lieutenant is responsible for supervisory support of resident volunteer firefighters and EMT’s in the District’s resident volunteer college program. 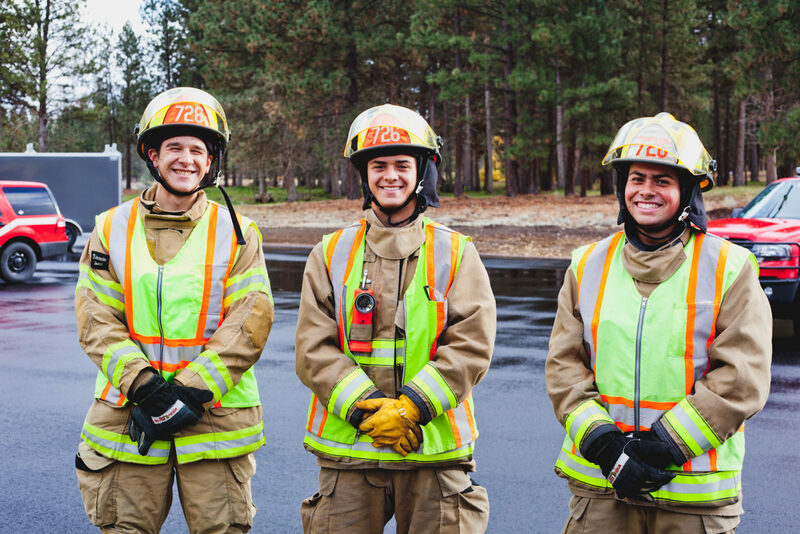 The District provides college scholarships and housing to nine students annually who attend fire science or paramedic courses at Central Oregon Community College. As a Resident Volunteer Lieutenant, Rachelle will receive a scholarship to study fire service administration through Eastern Oregon University. Sisters-Camp Sherman Fire District Fire Chief Roger Johnson said, “We are very proud of Rachelle and honored to have her as a member of our leadership team.” Rachelle has been with the District for nearly two years and is studying fire science and paramedicine at Central Oregon Community College. Rachelle maintains a 4.0 GPA and has attained certification as an EMT, Firefighter 1&2, Apparatus Driver, Hazardous Materials Operations and six national incident management courses. Rachelle discovered Sisters Country in 2015 when she worked as a volunteer at Crystal Peaks Youth Ranch East of Sisters. Rachelle grew up in rural Lancaster County Pennsylvania and spent the summer working at the youth ranch. While not working at the youth ranch, Rachelle signed up to ride along with the Sisters-Camp Sherman Fire District. She fell in love with the community and fire department and applied the following year for the Resident Volunteer Scholarship program. 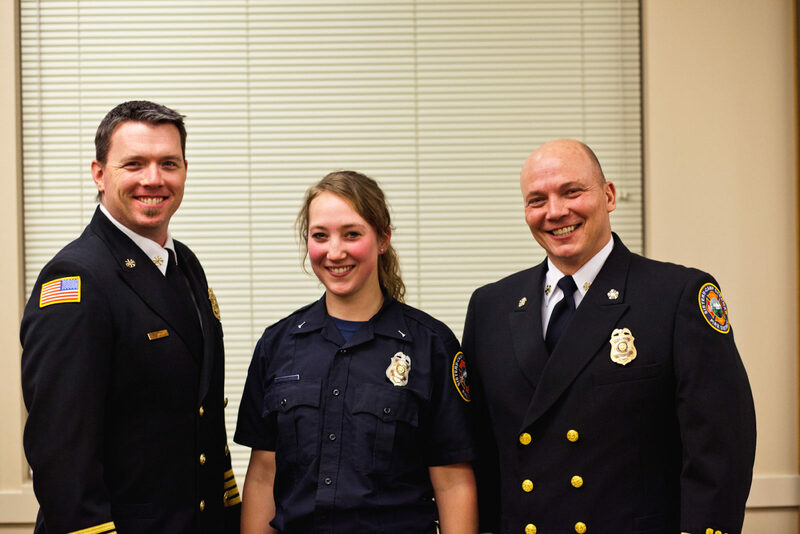 Rachelle will remain with the fire district during her four-year scholarship program and will receive certification as an Oregon and National Registry Paramedic and receive a Bachelor’s of Science degree in Fire Service Administration. 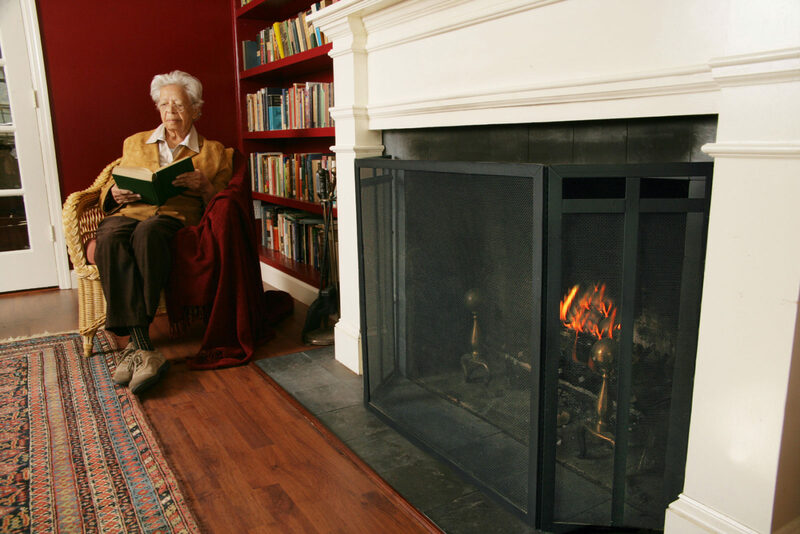 When heating your home, you need to be aware of carbon monoxide. Carbon monoxide, also known as CO, is called the “invisible killer” because it’s a colorless, odorless, and poisonous gas. More than 150 people in the U.S. die every year from accidental CO poisoning from generators or fuel-burning appliances such as furnaces, stoves, water heaters and fire places. Breathing CO at high levels can kill you. SISTERS– The Deschutes National Forest, Sisters Ranger District has adjusted the Milli Fire closure to allow for increased recreational access, while still providing for public safety. The Forest Service wants to highlight that most national forest lands within the Milli fire area, are open to public access. However, some trails and roads remain closed due to hazardous trees and trail treads damaged by fire-caused erosion. The following is specific information regarding open winter trails, closed winter trails, open recreation sites and open roads. All trails, roads and recreation sites will be reassessed following the winter to determine whether than can remain open after winter storm damage. Currently, most trails in the fire area are open, However, the Forest Service does not fall standing dead trees along trails. Forest users should use extreme caution when entering burned areas and should expect many trees fallen across the trails next spring before trail crews can clear them. The popular McKenzie Highway 242 is open for winter recreation including snowmobiles. In winter the route is closed to vehicles. Winter users should use extreme caution, particularly in the Black Crater area, which burned with high intensity on steep slopes. This fire behavior created a high risk for falling trees and limbs, landslides, and avalanches. The following snowmobile trails are open: Cross-District Snowmobile Trail, Bluegrass Loop Snowmobile Trail, McKenzie Highway 242 – Open to over-snow travel only. A portion of the Upper Cross-District Snowmobile Trail from the junction of Bluegrass loop (junction 518), south to the junction with the Cross District Trail (junction 519A) is closed. The public is encouraged to KNOW BEFORE YOU GO by contacting the Sisters Ranger District office at 541-549-7700 if you plan to visit the area.